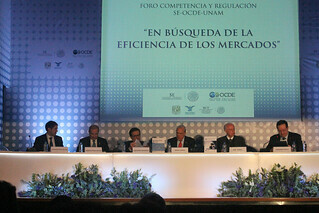 Mr. Angel Gurría, Secretary-General of the OECD, was in Mexico from 9 to 13 January 2017 on an official visit. He met with Mr. Enrique Peña Nieto, President of Mexico, and several Mexican Ministers and high-level officials. While in Mexico, the Secretary-General also opened the Role Models Network meeting and delivered a speech on the international and Mexican economic outlook at the Instituto Tecnológico Autónomo de México.